In the Oil and Gas industry, the sites might be remote. Links my have limited bandwidth and the RAD Vmux for perfect for those purposes with a 16:1 voice compression. 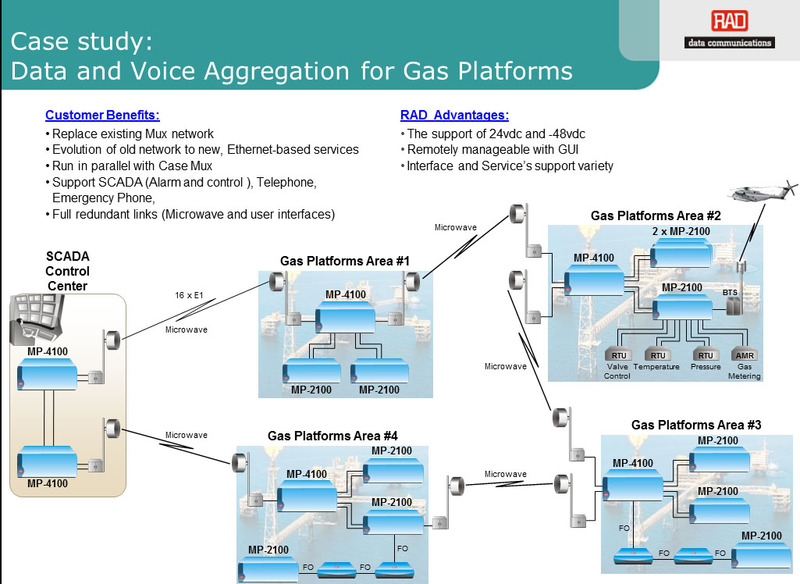 Other needs in the Oil and Gas industry include multiplexing various types of low speed data, voice and Ethernet. This is an Gas and Oil application where the RAD Megaplex sets the standard for performance. 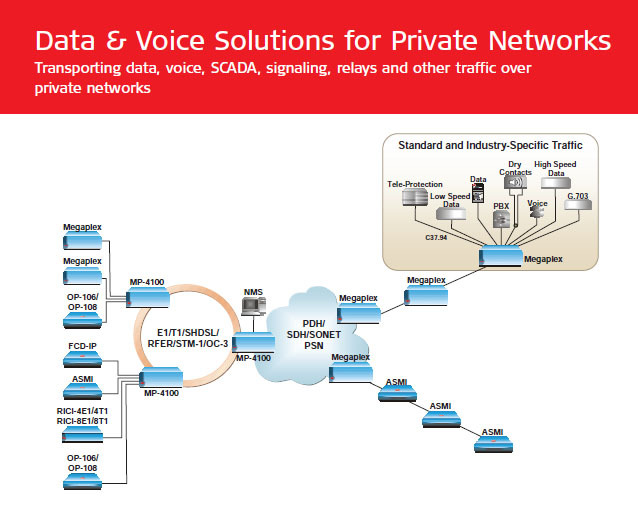 With just a single box, extend any mix of analog voice, sub-rate data, multiple T1s, Fast Ethernet, data and video surveillance over a TDM, fiber, SONET, SHDSL or IP/MPLS backbone. 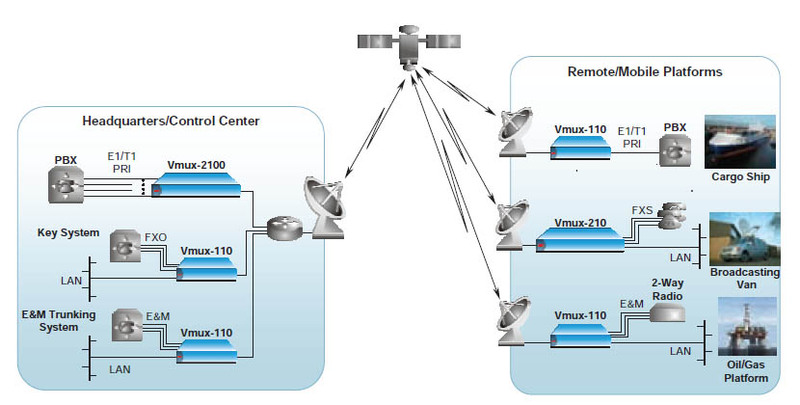 RAD’s multiservice access multiplexers offer cost-effective backhaul of substation or oil rig coupled with central-site aggregation and central management of the entire network. Preserve legacy investments and gain a clear migration path to Next Generation Networks without the need for forklift upgrades. Today there is unfortunately a real need for Security. In the Oil and Gas industry, things may be spread out making it difficult to monitor and leaving some equipment in areas that may not be as protected as you would like. 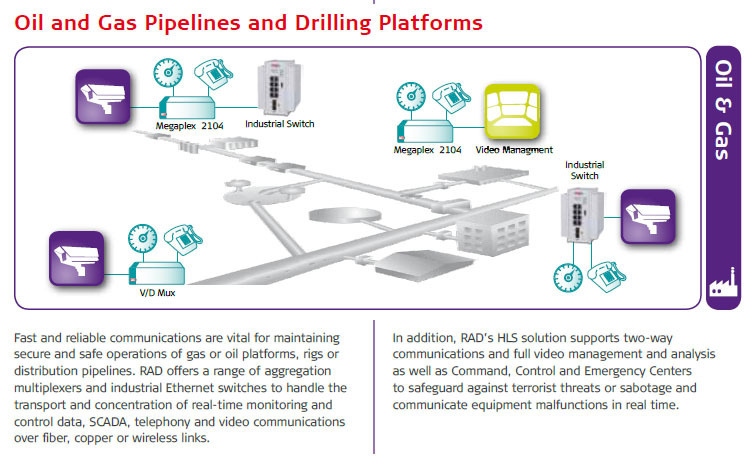 The RAD RADiFlow / RADSecure industrial Ethernet switches can help to address that issue. Many companies like Petrobras Oil and Gas Exploration Company in Brazil take advantage of the the Megaplex 2100. With it technicians do not have to come from the mainland to service equipment that is located in the middle of the ocean.